A new Dragonspyre inspired game card pack is here! 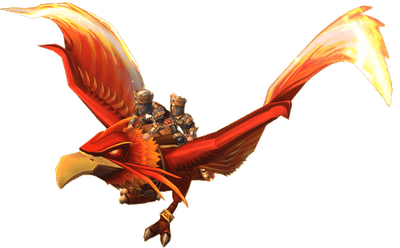 With a chance at the fierce two person Phoenix Mount, the Phoenix Hoard has cool new epic and ultra rare items for your Wizard. In addition to the Phoenix mount, this new game card pack gives players a chance at tons of other cool new items! What's the fuss about all this new gear? Well take a look for yourself! Anyone notice anything from the past in the outfit? 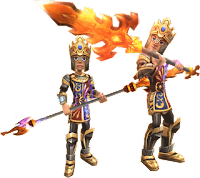 Remember him from the Wizard101 Design Your Own Gear Contest? I think that's where this outfit was based off of. While a bit similar, I just find too many discrepancies to believe that it's that gear. There are a lot of areas where it isn't even vaguely close. In a ways I see what you mean. 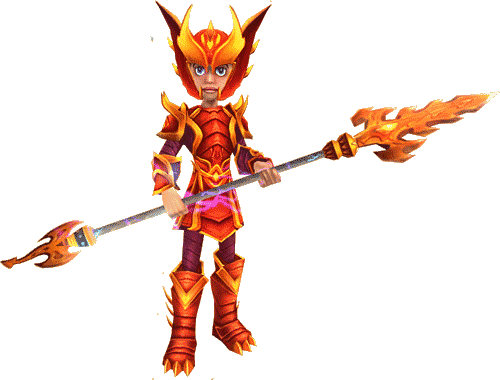 There is no cape, not as many flames, etc. etc. What is similar is the dragon theme with the hat, robe, and boots. 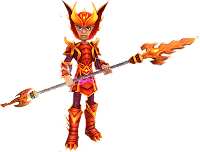 Yes it is not 100% identical, but I believe that the new Phoenix Hoard outfits were based off of that. I have to agree with both of you. I see the resemblance but I can also see how they are different. It is a unique outfit and I like it a lot!